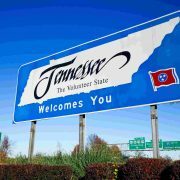 More than 30 new laws in Tennessee are set to go into effect next year with most beginning on New Year’s Day. One of the laws talks about immigration, specifically sanctuary policies. Starting January 1, state and local governments will not be allowed to adopt sanctuary policies or any similar measures. Another new law deals with abortions. At the start of the year, ultrasounds will be required prior to getting an abortion. The person giving the ultrasound will also offer opportunities to learn the results. That will be required if a heartbeat was detected. Next year will also see an increase to the minimum property damage threshold for motor vehicle accidents to require a written report with the department of safety. The threshold increased $400 to a $1,500. It’s a hundred dollars more if cases include local or state government property. A new law will connect Tennessee to the Interstate Medical License Compact, a nationwide streamlined process for physician licensing. This will help give people more access to patient care. The compact makes it easier to license across state lines without federal regulations. Over 20 states are part of the compact.